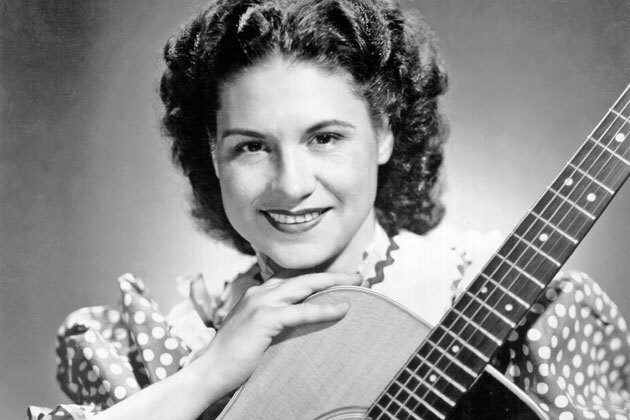 When Kitty Wells walked into Owen Bradley’s recording studio on May 3, 1952, she wasn’t looking for much more than a quick, easy paycheck. Wells was burnt out, having dedicated the past ten years to a music career that didn’t seem to be taking off. She’d been dropped by her record label in 1950, and the closest she’d ever come to stardom was singing backup harmonies for her husband’s band, Johnnie & Jack. It was time to throw in the towel and start a family. Someone from Decca Records had approached her about recording one final song, though, and Wells couldn’t pass up the guaranteed union pay scale of $125. She took the gig, recorded “It Wasn’t God Who Make Honky Tonk Angels” in one evening, and went back home. Later that summer, “It Wasn’t God…” topped the charts and stayed there for weeks, marking the first time a female country singer had ever sent a song to number one. Four years later, Wells — who’d rightfully earned the title “Queen of Country Music” — became the first female country singer to release a full-length album. Country music was something of boy’s club back in the 1950s. Wells doesn’t deserve all the credit for breaking down those walls — Loretta Lynn and Dolly Parton did their share of the work, too — but she was the one who got there first. With the feminist movement still a decade away, Wells paved the way for future songs like “Rated X” and “Just Because I’m a Woman,” proving that musical women had just as much right to voice their heartbreak as men.